Yang Style Taiji Quan is an important school of Taiji Quan, and it was adapted by Yang Luchan, and his son, Yang Jianhou, and his grandson, Yang Chengfu, at the base of Old Form of Chen Style Taiji Quan. Yang Style Taiji Quan is spread widely for its following features: generous and spreading, the gentle and the hard in harmony, upright and graceful, simple and clear. Some simplify routines of Taiji Quan were compiled by the State physical Culture and Sports Commission at the base of the routine of Yang Chengfu in 1956, these routines have been deeply loved by the trainer since then. 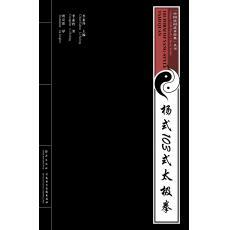 The 103 Form of Yang-style Taiji Quan is a set of original and the richest forms of Taiji Quan. Its integral feature: layout reasonable, well-structured, comprehensive integrity, scientific and practical. Its sport Characteristics: gentle and stretching, upright and spreading, slow and soft, rigid-flexible dynamic in harmony, no obvious action to give out force and jump up, easy to learn, simple to train, so it is popular in lots of trainers. This routine is the universal and popular pattern after the validation of the National Wushu Authority Institution.